This is Rt 122 in Uxbridge, MA. 3.74 inches of rain fell in about two hours and this was the result. Thank you to Greg and Shawn Walker for the photos. 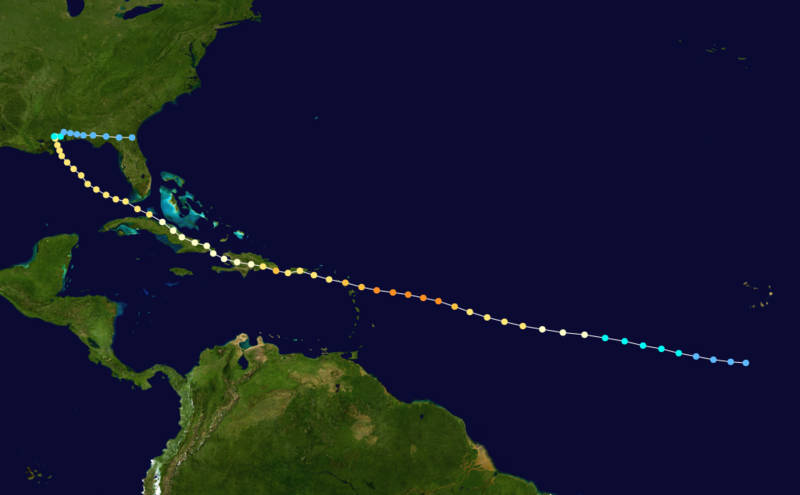 Irene became the first Hurricane to make landfall in the United States since Hurricane Ike in 2008. Early reports out of North Carolina are indicating some heavy damage. Irene has already caused 3 deaths in North Carolina. The wind field is still very large and the central pressure remains at 952. The central pressure is the true indication of how strong a Hurricane is. We will be in a long duration wind event. The strength of the wind is not overwhelming; however the long duration and constant pounding of the winds will lead to significant tree and power line damage. North Carolina is going on 24 hours of Irene. 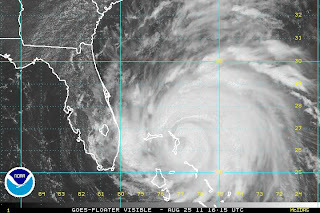 The backside of Irene has been very powerful which is very rare for Hurricanes. Track will come in to our west. Expect 4-6 inches of rain to the east of the center with lesser amounts at the coast. The winds will be sustained between 45-65 mph with gusts to 80. The worst of the storm is between 6am and 3pm. It will be raining long before the core of the Hurricane gets anywhere near New England. 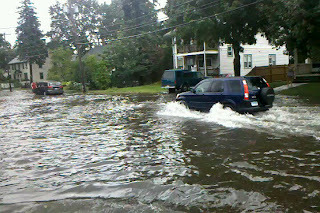 A North Carolina man was killed driving around during Irene. Please be smart and do not take any stupid risks. Not much more to add. See previous posts related to Irene for impact and effects. Here's to good fortune for everyone's lives and property. 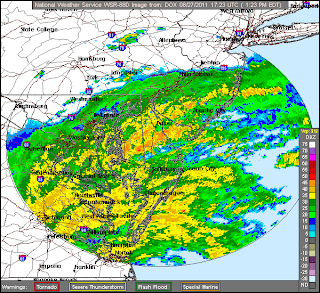 Look at all this rainfall surging northward. Courtesy of NWS. I can't stress how important the low central pressure of this system is. 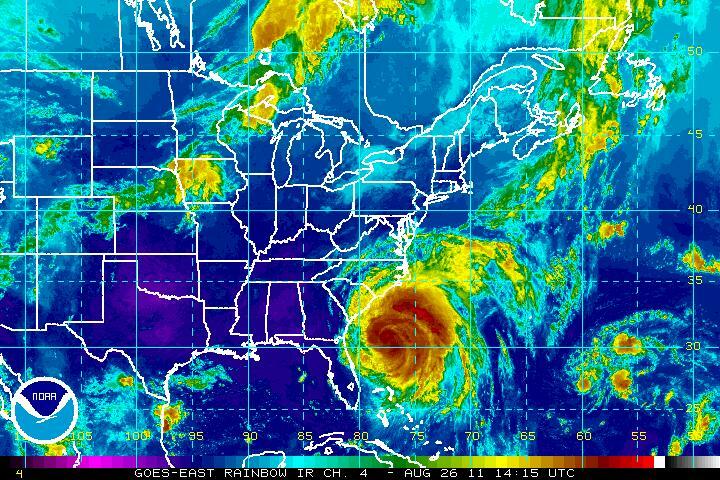 Irene is NOT behaving the way many tropical cyclones behave. She may have a trick or two up her sleeve. If anything significant occurs I will post updates. What does that mean? It means that Tropical Storm force winds extend 425 miles from the center. It means that Hurricane Force winds extend over 100 miles. It also means that you need to ignore what Category the winds fall in. 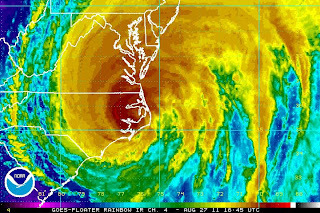 The central pressure is the true indicator of strength in a large Hurricane like Irene. Right now the central pressure is 946 mb. This can support winds of up to ~140 mph which is a category 4 hurricane. So why are Irene's winds "only" 105 mph? The answer lies in the large wind field. In small, compact Hurricanes, they can really spin up and when the pressure goes low, the winds respond. However the area that experiences heavy wind is limited. In the case of Irene, she is distributing her power across a much larger area. This is very similar to what happened to Hurricane Ike in 2008. Ike devastated Galveston and the North Texas coast as a category 2 hurricane. It wasn't the strong winds that caused the devastation, it was the storm surge, heavy rain, and consistent winds of category 1 strength for hours. Ike caused $30 billion in damage in the United States and killed 123 people. Irene will only slowly weaken as she makes her way up the East Coast. The shape of the Hurricane should morph into a Nor'Easter looking cyclone. 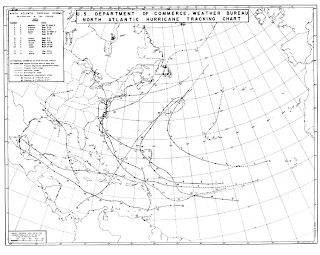 This is typical of Hurricanes as they transition from the tropics to the mid latitudes. So here is my first "impact map" of what we can expect. The slightest shift makes all the difference. If it spends more time over water than over land while coming up the coast impacts will be even worse. There is a flood watch for Worcester County because 4-6 inches of rain should create some problems. Its just that area's west of the center will be receiving more rain. Anywhere east of the black line will suffer widespread power outages and numerous down trees. A major coastal flooding event is going to occur on the South New England coast. Here is the National Weather Service forecast discussion for Hurricane Irene. Timing is still a work in progress. Some models are speeding the cyclone up, which does make sense, but I want to see if this trend continues. If possible, the hurricane models continue to show a worst case scenario. 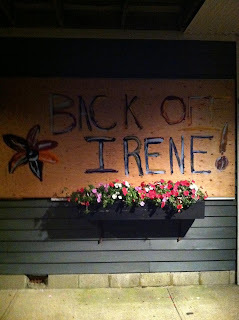 Yeah we are 3-4 days away, but there doesn't seem to be a way to send Irene out to sea. 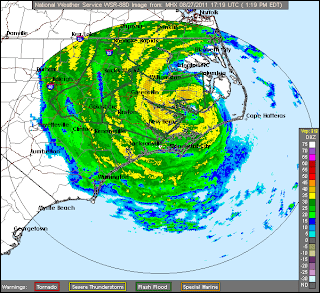 Irene is forecast to smash the Outer Banks of North Carolina and then hug the Mid-Atlantic coast sending ferocious waves and devastating surge all along the shore. The storm will then turn Northeast right into southern New England. The west side of the storm will drop copious amounts of rainfall on areas that are already over saturated. Mid-Atlantic flooding will be severe there is just no way around that. New York City is going to be vulnerable to storm surge from Irene. The south coast of New England is going to be extremely vulnerable to storm surge. Irene is a large Hurricane, with a large wind field. Pressure is low in the storm so she is going to drive a lot of water toward the shore. The surge will depend on how strong and fast Irene moves north. If it is a strong Category 3 around the Outer Banks then the surge here in SNE will be damaging. It is becoming apparent that everywhere from Worcester County and east will see strong winds, sustained at Tropical Storm force (39-73 mph) with gusts to Hurricane force (74 +). If whatever is left of the eyewall crosses through Central Massachusetts the winds will be stronger. Area north and northeast of the center will be vulnerable to tornadoes as well. The fast spinning winds will interact with the land. The friction will slow the winds down at the surface and turn them, meanwhile winds in the mid layers will remain unaffected. As a result, tornadoes form due to this "shear". Prepare your property, even inland, for this Hurricane. I expect a Category 1 Hurricane to hit Long Island with winds of 85 MPH. If the storm doesn't quite hug the coast the way the models are indicating then winds of up to 105 will be possible. The hype for this is justified by uncanny model agreement and relative consistency of a Northeast direct strike. The Bermuda high is blocking escape out to sea. If the track does pull to the east at the last minute we will then be vulnerable to 5-10 inches of rain and flooding. A lose/lose situation is developing. As long as computer guidance continues to stay consistent, I'll begin to be more specific with timing and impacts starting tomorrow. Do not forget about today's rain showers and possible thunderstorms tonight. Severe weather indices are enough to support storms today. Calm before the storm tomorrow, increasing tropical air on Saturday. I have to disagree with a Hurricane going directly over NYC. The last time that happened was 1893. Models have a tendency to kick easy as the event approaches. I don't want to tell people in the tri-state area not to prepare for the storm, rather I think the potential damage in southern New England is being underplayed. Matt Noyes of NECN thinks New London, CT is where landfall will occur. Don't bother watching any of the National Networks (FOX, CNN, etc) for New England impacts. I've watched all of them and they continue to ignore New England. Even if the storm does hit NYC Southern New England will get slapped with high winds storm surge and tornadoes. Stick to the local networks or here at New England Weather. 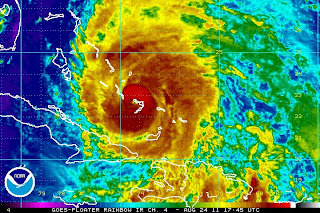 Irene is ravaging the Bahama's tonight with fierce 120 MPH winds and a central pressure of 952 mb. Irene is currently undergoing an eyewall replacement cycle. That means the strong inner core around the eye where the strongest winds are collapses and then reforms. For a reference think that a Hurricane does Tommy John surgery on itself. After an ERC the storm can restrengthen bigger and badder than before. I really do not have much more to add that I haven't said in the past few posts. Its coming. These will first fire between 11 and 1 and move through MA around 3. Then a second line of storms may come by when the front passes through. Dewpoints will be in the 70's tomorrow. A tornado cannot be ruled out either. The front is going to stall off the coast and then return as a warm front in combination with Irene Saturday. Talk about a double whammy. 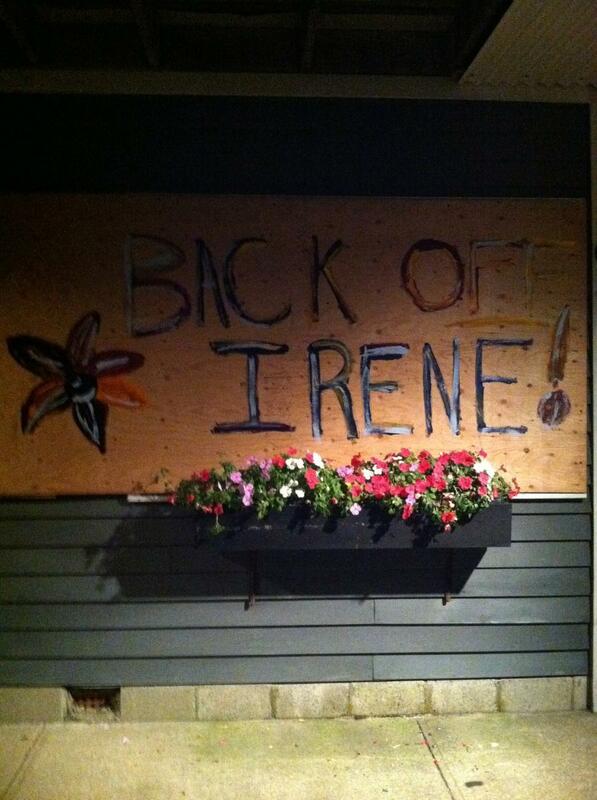 Irene has already claimed one victim here in New England, the Sunday Kenny Chesney/Zac Brown Band concert in Foxboro. The show has been moved to Friday due to the potential hazard of having an outdoor show in the middle of a Category 2 Hurricane. Model guidance continues to suggest that a large Hurricane will miss the Outer Banks of North Carolina and make landfall in the Rhode Island/Southeast Massachusetts area on Sunday night. Jim Cantore is being sent to Providence, RI. You know if he is there, all of The Weather Channel's best meteorologists think that Irene is heading for Southern New England. The latest computer model information is also surprising. Most models are now indicating that a hurricane will make landfall on Long Island and then New England, or just in New England. The models are also picking up on the predecessor rain event (PRE) that I talked about last night. So that means that Saturday night's Chesney/ZBB show will be wet. The air is going to feel so tropical that for concert-goers that will be relief. By the the afternoon on Sunday things will really begin to go downhill as heavy wind driven rain will begin to pelt the area. Tornadoes will be spawn in some of the intense outer thunderstorm bands. Because of the PRE, it will be much easier for Irene's powerful winds to knock down trees. Some of those trees will fall on onto power lines and therefore it is extremely important that people have enough food and water. The south coast will be flattened by storm surge and 100 mph winds. Officials will likely focus on potentially extreme damage in coastal Rhode Island and Massachusetts. How extreme? Please read the accounts of past New England Hurricanes. It's all happened before when New England had less people and less coastal development. Therefore, getting power restored in other areas of Massachusetts may take days. If you live on the coast, evacuation is long frustrating process. With the emerging consensus of a direct strike, my suggestion would be to leave if and when evacuations are issue. For inland people, if you live in areas prone to river flooding please be ready to evacuate if rivers rapidly rise. This is the best way to protect lives. Do not be tempted to go to beach on Sunday to watch the waves. This is extremely dangerous. The models have trended west today, ending what had been a steady march east for the last few days. What has changed? 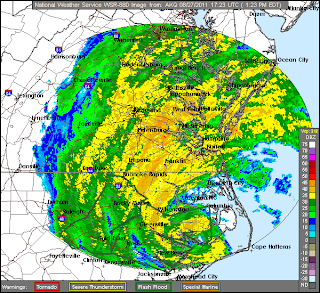 NOAA and the Air Force were dropping weather instruments ahead of the path of Irene. They also sampled the atmospheric players that will drive Irene. 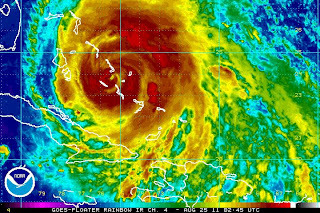 With remarkable agreement at 4 -5 days, I do now believe its time to prepare for Irene like she will strike. The Upper Air (500 mb vorticity) shows the major players in where Irene will track. High pressure in the Atlantic is blocking Irene from moving out to sea while high pressure in the southwest is allowing the short wave trough to dig in between the between the two to catch Irene and accelerate her north. And here is the 48 hour rainfall forecast from Monday at 2 pm for one last image.. This has long been expected. The central pressure in the core of the Hurricane has dropped to 969 mb. With the warm ocean, both at the surface and at depth, this storm will continue to get stronger. In fact, Dr. Kerry Emanuel of MIT has a chart that suggests Irene could be as strong as a Category 5 all the way to the Outer Banks. This won't happen because that map only takes into account oceanic heat content and nothing else. There are other factors that will hold Irene back from approaching that strength. That said, I also do not see any reason to change my forecast track. Unfortunately there is a lot of guidance that suggest the minimal impacts from New England will still be dangerous. After watching NECN's Matt Noyes technical discussion tonight, I want to bring up another hazard that may occur with this storm. I thank Matt for bringing this up because I never would have thought about it before hand. That's why I follow experience meteorologists, there is a lot to learn from them. This hazard is a predecessor rain event. We often see this in the winter when snowstorms are coming up the coast. In these cases snow will overspread the area in front of the cyclone (nor'easter in combination with the trough that is helping to pull the storm north. In this case it will be rain, heavy tropical rain. This will fall before the Hurricane/Tropical Storm hits! Its likely this will happen whether the storm tracks up the coast or over the water. I still believe Long Island and New England will take a direct hit from a Hurricane. However this will just add to flooding concerns. This event would start Saturday afternoon or Saturday night. So if indeed Irene surges north, preparations should be complete by early Saturday afternoon. The models that we're once on the outside of the consensus model track are now coming into line and forecasting a hit from North Carolina to Cape Cod. I can't stress how significant of an event this could be. See previous posts for details. 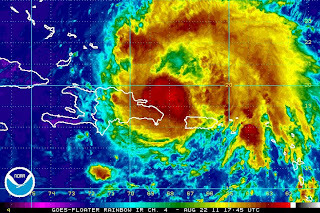 I'll have more on Irene in the early afternoon after the morning computer models put out their data. The weather for the next few days...warm and partly cloudy tomorrow, thunderstorms on Thursday (more on that tomorrow...maybe), and then warm Friday with increasing tropical air. Its going to feel like Florida. Just in...New England officially in the National Hurricane Center 5-day track. This would be an absolute disaster. People seem a little riled up over this earthquake. There is some damage in the DC/Virginia area. A water main break has caused mandatory evacuations at the Pentagon. The airports are running slowly because air traffic control towers were evacuated. Amtrak service is delayed because investigators have to check every single rail. The earthquake was felt from Atlanta to Canada. Is that rare? Actually no not really. While earthquakes in the east are rare, they do occur every few years. The long ranging effects of the earthquake aren't that rare either. The Earth's crust along the east coast is solid and relatively cool. Therefore, the earthquake shock is able to travel far and fast. The EURO model is also in line with a North Carolina strike and then it hugs the Mid-Atlantic before crossing into New England. This almost exactly what the NHC track is (see below). This would be a very bad track because PA, NJ, and NY have very saturated grounds right now. This would lead to extreme flooding. That would put the storm surge and winds on the New England side of the system. As shown below I'm east of the EURO track but not by much. What a day! 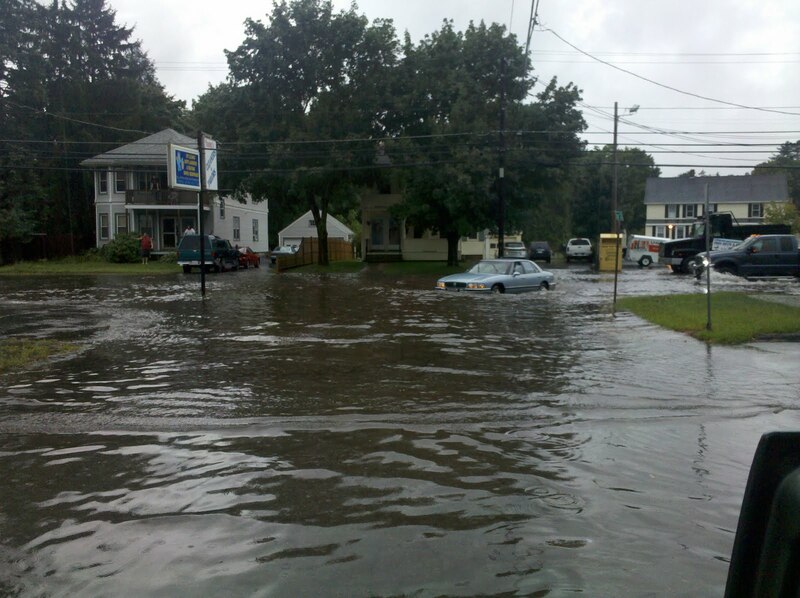 There have been interesting developments today with regard to Hurricane Irene. Mainly that the latest American weather computer model (the GFS) scrapes the Outer Banks of North Carolina before making landfall on Long Island and then southeast Connecticut before crossing into northern RI/south central Massachusetts. For those who live in the Blackstone Valley (like me) this is as close to worst case scenario as we are going to get. This keeps southeastern New England on the east side of the Hurricane, which is the most intense side. The direction of the track will also send heavy flooding rains into the region as the center pulls away. Storm surge along the south coast could be significant depending on how strong Irene is. So the question becomes now, how likely is this? This is 5 days away and to expect a model to keep the same track for 5 days is a stretch. 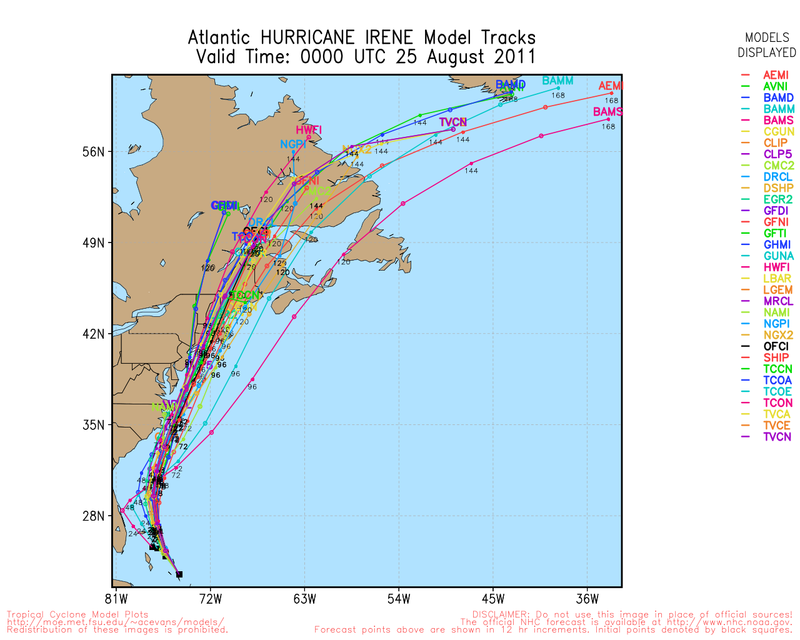 With that said, the models have been consistent and fairly accurate with Irene since she formed. NOAA research planes have sampled the other "players" who will have a say where Irene goes. High pressure in the Atlantic, High Pressure near Texas, and an upper level trough entering the Pacific Northwest will steer this system. Irene is about to strengthen as the cyclone moves over very warm waters in the Bahama's. This strengthening can have an impact because the Hurricane will be releasing vast amounts of heat into the atmosphere. Does this help break down the Atlantic High and cause Irene to accelerate to the north? This is very difficult to determine, which is a 100 miles track error could be the difference between a tropical storm with flooding rains or just some rain and wind. I'm going to keep my track from yesterday. I don't see any reason to change it significantly, especially with the Hurricane Center coming east. This post will be updated after the European model is released in an hour or so. At this point its probably best to make a plan if you live on the coast. If you have a boat plan to get it out of the coastal waters. It wouldn't be bad to pick up some food and water. At the very least get batteries and flashlights. If the forecast doesn't pan out, no big deal. Its certainly not time to panic. However, if this is ignored and it does indeed hit, it will be much worse than hyping something that doesn't quite live up to expectations. We do that everyday in our culture. And then whenever a disaster hits we demand to know why we weren't prepared. To me, the time to prepare is now. If one extra person goes out and prepares for this storm early and it hits, then its worth it for me. By tonight there should be a pretty big ramp up in coverage of Hurricane Irene. Irene is a Category 1 Hurricane located north of the Dominican Republic. It appears less and less likely that the circulation is going to be disrupted by the mountains of the DR. 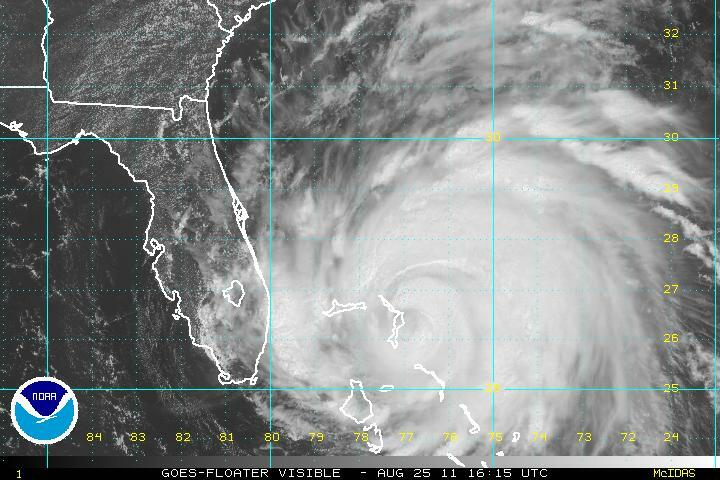 It appears more and more likely that Irene will become a major Hurricane (Sustained winds greater than 111 mph). Already 800,000 people are out of power on Puerto Rico and over 10 inches of rain has fallen. Next in line after the DR are the Turks and Caicos Islands and the Southern Bahama's. 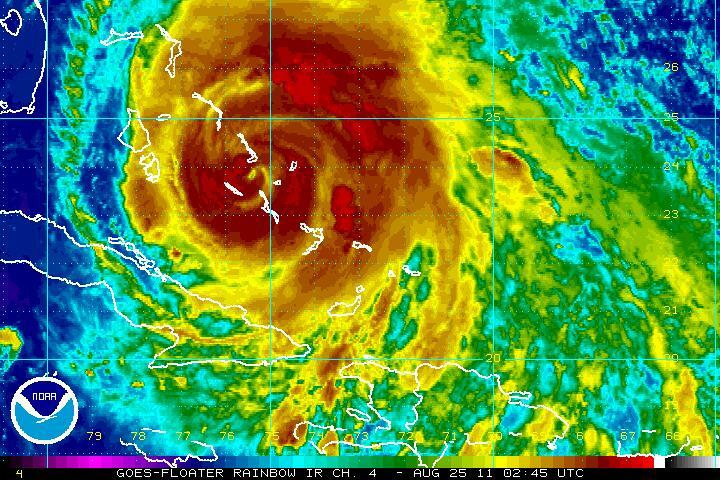 Most models are taking the threat away from Florida and sending Irene to the Carolina's. However, one very reliable Hurricane model is refusing to take the storm up the coast; instead this model is sending Irene to Miami as a category 4 hurricane. I don't buy the solution, but its hard to ignore and discount the model since it has been consistent. It remains an uncertainty and I want to let it be known that not all models favor a Carolina track; however I believe North Carolina and then New England are in a greater danger area. 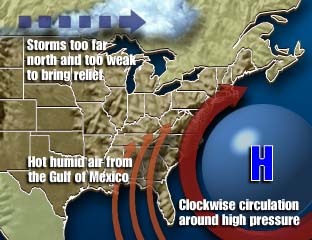 So while it is too early to panic over Irene, here is what potentially could happen. First of all, New England hasn't been struck by a major Hurricane since the aforementioned Carol of 54. That hardly matters because the damage from Hurricane Bob (91) was extensive and that made landfall as a Category 2 (which is what I am forecasting now). Let's start with the Cape, Islands and South coast. Storm Surge will be on the magnitude of 10-15 ft, severely damaging low lying areas along Buzzards and Narragansett Bays. Boats will be sunk or tossed ashore from 20-30 ft waves on top of the surge. Heavy wind damage and power outages will also knock out communications from the storm. There has been a lot of rain already this year and so the ground is saturated; that means it will be easier for the strong winds to knock down trees and take down power lines. Further inland, flooding rains and high winds will knock out power and take down trees. Rivers will rise and low lying areas will see river flooding. The outer bands of Irene will drop tornadoes causing more damage. All of this is based off accounts of previous Hurricanes that have hit New England. This will happen IF we take a direct hit. Why do I warn of this at such an early stage? New England is ill prepared for a Hurricane. Coastal development has boomed since Bob and this storm could be stronger than Bob. If you know people who live down the Cape or along the coast now is the time to think about what to do if officials order evacuations. Now is the time to make sure you have enough food and water for up to 3 days (per person). Now is the time to collect important documents and keep them handy. If the storm bends out to sea consider this a practice Hurricane Drill. If it does hit you beat the rush to the stores on Thursday, Friday, and Saturday. There is nothing definite yet, but a Hurricane is something no one around here is use to dealing with. A NOAA research plane is schedule to investigate the environment out ahead of Irene today. 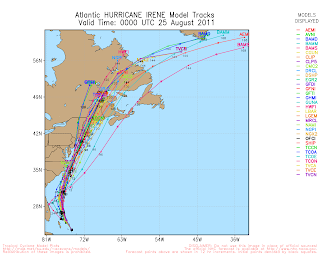 If the models continue to track Irene north after this, the threat level will be increased. 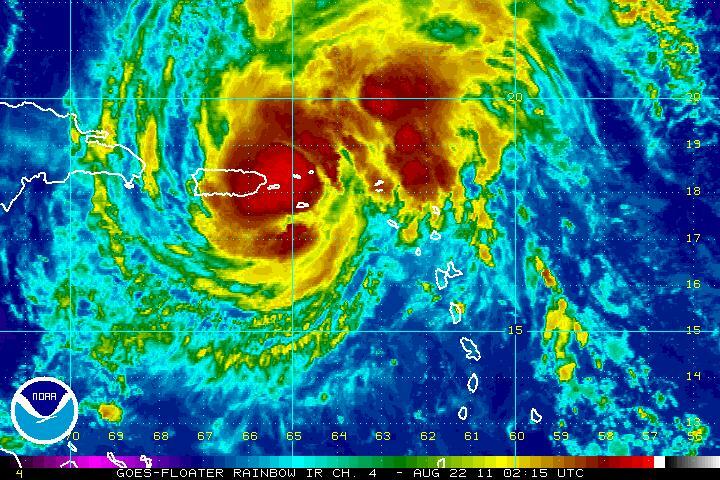 Tropical Storm Irene is nearing Hurricane strength as she bears down on Puerto Rico. Here is the latest Infrared Rainbow Satellite Image. Winds are up to 70 MPH and pressure has dropped to 989 mb. 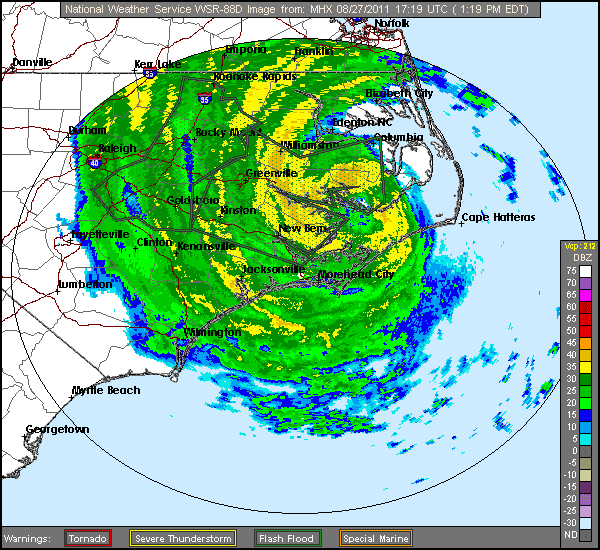 This already makes Irene as the strongest storm of this season thus far. Irene will break this shortly. Puerto Rico is certainly in for a rough night. Winds will gust to 80 mph and flash flooding is likely as 5-10 inches of rain will fall on the island. I had hoped to get a radar image of the Hurricane on the blog, but the images are currently down. This confirms how strong Irene has already gotten. With pressure down to 989 I expect Irene to be a Hurricane by 2 AM. 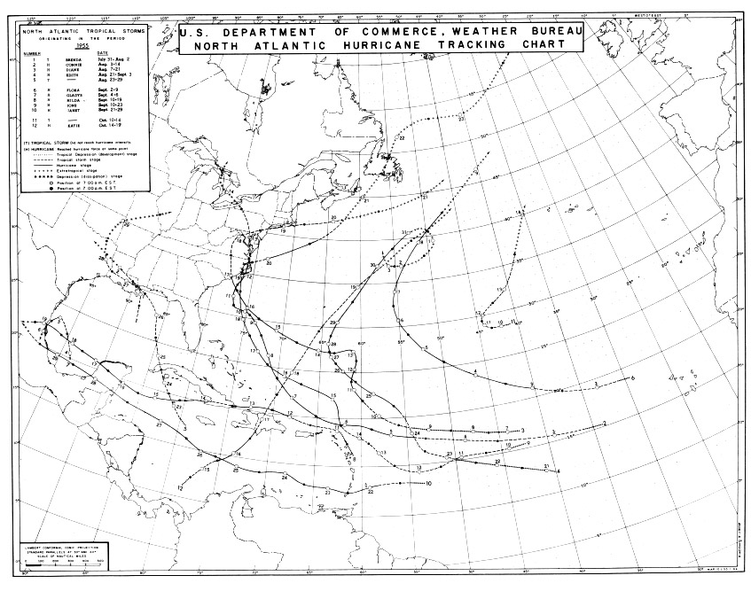 I believe the National Hurricane Center is keeping the track too far to the west. They note in their 11 pm discussion that they are uncertain of what effects the mountainous terrain of Hispaniola will have on the system. I believe the storm is hardly effected by these and will strengthen, turning north more quickly. Also, Jacksonville, FL is hardly ever hit by tropical systems. 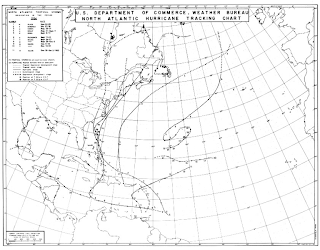 Hurricane Cleo (1964) hugged the Florida coast and is noted by some forecasters as a possible parallel. 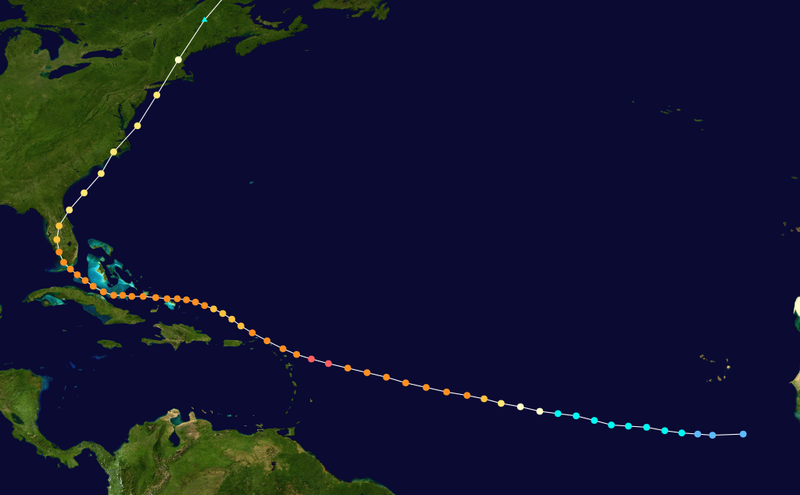 However Hurricane Dora (also 1964) is the only Hurricane since 1851 to directly hit Jacksonville. So I am doubting the NHC forecast. Model consensus has pushed further east, over the gulf stream. This is a potential alarming trend, due to how warm the waters of the Gulf Stream are. Its not just how warm the GS is either- a Hurricane will intensify when it moves over pools of warm water due to fluctuations in how quickly new thunderstorms are forced upward in the core (lapse rates). For example, water that is 82 degrees over a large area will keep a Hurricane going with moderate strengthening if all other conditions are equal. But if there is a patch of 83 or 84 degree water in its path, the storm is more likely to rapidly intensify. I've gone stronger than the Hurricane Center on intensity, but not as aggressive as some of the weather models. The timing is questionable. I will refine that tomorrow after reviewing tonight and the morning model runs. At this point, I think New England will see some sort of enhanced rainfall from this system next weekend. While looking at my 6 day track you can probably guess where I'm leaning with it, I'm not ready to sound any sort of hype alarm until the storm starts to make its turn north. Warm Atlantic Ocean, second year of a La Nina is a classic East coast Hurricane signature, specifically North Carolina. Out of all the areas this is where I am most concerned for. The latest American long range model is out its "initial condition" already is too far south for where the storm currently is. Get your popcorn ready weather fans! A severe thunderstorm watch has been issued for Western and Central Massachusetts. The watch is in effect until 900 PM tonight. Damaging wind and large hail are the main threats from this complex of thunderstorms. 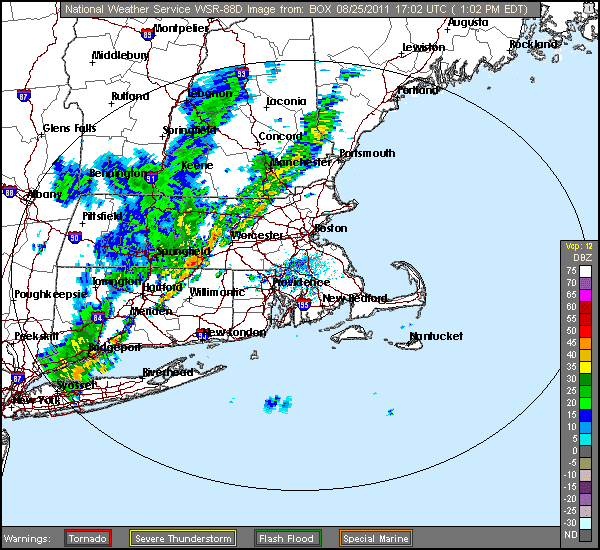 A vigorous line of thunderstorms is approaching the Berkshires now. Check out spc.noaa.gov for more information. Hope everyone enjoyed the first part of the weekend. Tomorrow will not be as pleasant as today was because a surface front will set off showers and thunderstorms. The latest North American Model (NAM) is showing the potential for nearly two inches of rain in the next 48 hours. The majority of this will fall after sunset tomorrow. Any outdoor activities will be in good shape until about 130 PM. After that showers will develop and then thunderstorms will push through after 5 PM. As usual, as the threat develops I will post blog updates. The high tomorrow will again be in the mid 80's. Monday may start gray due to the leftovers from Sunday night but these clouds will clear and the humidity will drop back into the 50's. Combine that with highs in the mid 70's and it will be a comfortable day. Some late afternoon clouds could spit out a sprinkle or two late Monday afternoon and the most likely spot for these is Northern MA/Southern NH. 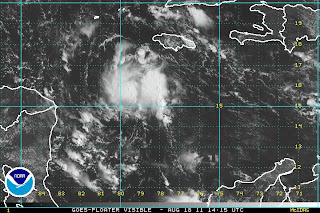 After tomorrow night's rains the pattern relaxes for a few days as all eyes will look to the south to track newly formed Tropical Storm Irene. 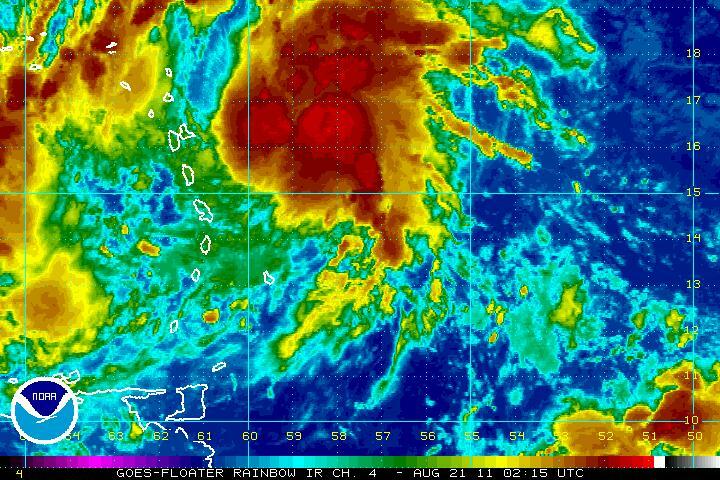 Irene skipped Tropical Depression status and went straight to a 50 mph Tropical Storm. This is significant. Irene is in a favorable environment to strengthen with warm ocean water, deep heat content in the upper layer of the ocean, and calm winds aloft. The quicker Irene strengthens, the sooner it will turn north. This makes the system more likely to turn north and therefore makes the system more of a Atlantic Coast threat and less of a Gulf of Mexico threat. 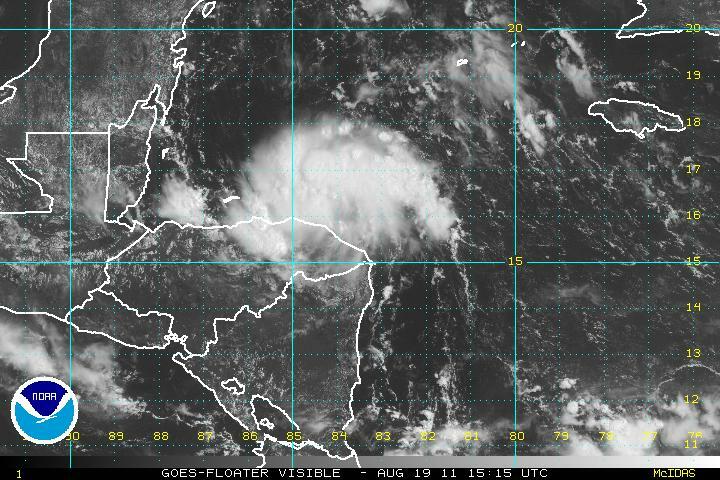 There is a big wild card in Irene's development. 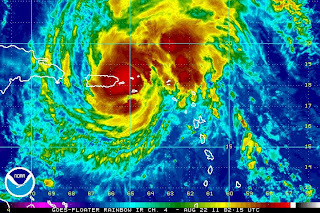 The islands of Puerto Rico and Hispaniola may disrupt the circulation of Irene when she passes by. That would be a big benefit for Florida as it would take time to regain its overall structure and therefore be a weaker storm. At this time frame, its helpful to read the overall pattern and what the models are forecasting in terms of pattern over the next few days. The most important factor is already in place, a strong area of High Pressure between Bermuda and the United States. This is called the Bermuda high. The amount of hype (myself included!) for Irene is about to increase. One thing I am not is a "model hugger" who changes a forecast with every model run. Many people you will watch in the news will do this in the next week. 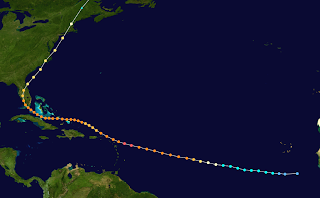 I can remember Hurricane Debby in 2000 basically being predicted to do the same thing as Irene is forecasted to do now; become a Hurricane and strike the East Coast. The Weather Channel and the big time cable news networks were all over the development of the system. 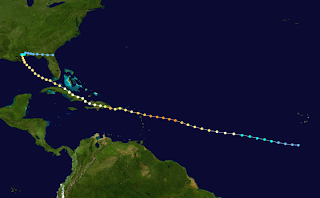 Well Debby was torn apart by the mountains of the Caribbean and never made landfall in the United States. Here is what I know about this system. *This seems obvious but many times models forecast a storm to develop and it does not. 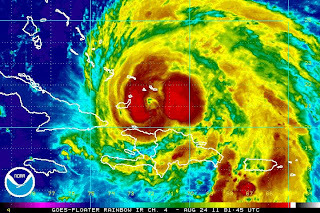 So my general prediction for Irene is that it will impact Puerto Rico and the northern Dominican Republic coast. Then the storm will push through the Southern Bahama's turning North, brushing extreme southeastern Florida as a category 1 Hurricane and then striking the Outer Banks of North Carolina. I expect New England to see some sort of impact from the system. It could be heavy rain from a remnant system or it could be a direct hit. For us, its still too early. This is a blend of model runs and climatology. More tomorrow. Good afternoon everyone. If you've been outside today you'll know that it is warm and humid. Isolated to scattered thunderstorms will begin to fire between 2-4 PM, moving into our region by the 5 PM rush. Forecasting the strength of these storms is tricky. On one hand, the available energy is substantial. On the other hand, the wind shear is minimal. What that means is the wind is basically blowing in the same direction at all levels. Therefore any thunderstorms that form will need to tap into other factors to become severe which is less likely. However, Western areas and even the Worcester Hills may have enough elevation to "force" the thunderstorms to become severe. So in English, thunderstorms will be scattered across Southern New England this afternoon and evening. They will be hit or miss and one or two may be severe. The threat from the severe storms will be damaging winds and small hail. There is also not much to drive these storms, so locally heavy rainfall and street flooding is also possible. Saturday will start off with fog. By mid morning this will be burning off and the sun will come out. While there is a threat for an isolated thunderstorm tomorrow afternoon, the set up is nowhere near as favorable as today. Highs will reach into the mid 80's (cooler at the coast). Sunday is a different story. A vigorous system not seen too often in August will approach. It looks like another chance for a rainy Sunday except this time it will not be a steady downpour all day. On Sunday a powerful line of severe thunderstorms may develop and push through the area with heavy rains and damaging winds. Tropical Depression 8 has formed north of the Honduras border. The storm is small and compact and heading towards Belize. I think it has a chance to be over open water long enough to become a strong Tropical Storm or a Category 1 Hurricane before it makes landfall. The name will be Harvey. This is a heavy rainfall threat for Central America. Originally it appeared that today would be a second straight nice day. However checking the radar returns showers and thunderstorms are moving from eastern New York into Western New England. These appear to be weakening but don't be surprised if there are some showers around. With all the recent rains small streams and creeks are flowing steadily in August, which almost never happens. Tomorrow there will be another shot of precipitation, but this time its summer thunderstorms instead of a steady soaking rain that belongs in October, not August. In the long range, a tropical threat is emerging for the Eastern United States. How significant is TBD. See below forecast for details (if interested). Today will be warm, with increasing humidity. Skies will be partly cloudy and there is a chance of an afternoon thunderstorm. A cold front is moving east and it will stall over New England, keeping weather unsettled for a few days. Overall, Friday is worse than today. There could be some sun tomorrow morning, but clouds will thicken by afternoon and widely scattered showers and thunderstorms will develop. By Saturday afternoon most of the region will be okay, especially at the coast. Central and Western Southern New England will have a chance of isolated showers and thunderstorms. Sunday and Monday, at the moment, have potential to feature severe weather. Looking at a possible significant weather event around the time of Country Fest (Saturday August 27). We could see a tropical system but at this point its too early to be concerned and its too early to have any idea where this system will eventually track. For more, see tropics discussion below. The tropical wave in the Western Caribbean Sea has become very well organized and the National Hurricane Center is giving the storm a 80% chance of developing into a tropical depression. A Air Force Reserve plane will be investigating the system this afternoon to determine whether or not the system has a closed surface circulation and whether or not winds are strong enough to be classified. If the system is named it will be Harvey. The system is small, but waters in the Western Caribbean are very warm so rapid intensification is possible. Therefore, this is one to watch for the people of Central America. Seeing a Hurricane before it reaches the Belize coast would not be a surprise. The tropical wave that has caught the attention of the tropical meteorology world is slowly becoming more organized. The wave has a mid level circulation and a lot of moisture with it, but it has yet to consolidate all the moisture or develop a surface circulation so its still a day or two away from developing into a Tropical Depression. However, most of the major mid and long range weather models are developing this into a Hurricane down the road. The models have been consistent in sending this towards the southeast United States. This is also consistent with climatology in years like these. Now no one needs to panic because it could hit anywhere from Florida to Maine (or it could hit all like Hurricane Donna in 1960). This is the storm that could ruin Country Fest. I'll be following this extensively over the next week or so and will post updates everyday. The storm must survive the mountainous islands of the Greater Antilles (mainly the Dominican Republic) so worrying about it now is silly, but keeping an eye on it is important. Behind the tropical wave in the Central Atlantic is another impressive beast off of the African coast. The lid is beginning to pop and we are not in the most active period of the season. Seat belts on, this could be a wild ride over the next 45 days. Also the stat talking about 2011 having the second most billion dollar disasters is a bit of joke. The total price tag so far is $ 35.6 billion. 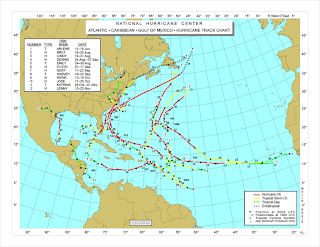 2005 saw Hurricanes Dennis ($ 3 billion), Katrina ($ 81.2 billion), Rita ($ 10 billion) and Wilma ($ 21.6 billion) alone. 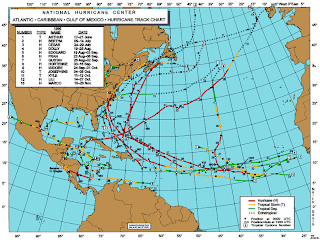 2004 had Hurricanes Charley ($ 15 billion), Frances ($ 9 billion), Ivan ($ 16 billion) and Jeanne ($ 10 billion) alone. It is also misleading because the value of everything is higher today than at any point in history. So OF COURSE there will be more billion dollar disasters. But, I digress. Have a great Thirsty Day. The Nor'Easter that dumped on the northeast is pulling away, finally. By this evening breaks of sun will be breaking out in central and western Massachusetts. Northwest winds will make Wednesday the pick of the week as dew points will drop and dry Canadian air makes a brief return. I say brief because on Thursday some summertime showers and thunderstorms could pop up in the afternoon. These will be isolated, but a small threat is there. On Friday/Saturday upper level energy will set off more widespread showers and thunderstorms. The good news is that temperatures will be in the 80's so when the storms are not around the day will be nice. These systems will not be the constant rain producers that the region has seen over the past few weeks. For my friends who go north for the weekend...clouds with showers and thunderstorms are the rule not the exception for the beginning of this weekend, but later Saturday and Sunday will be decent days. As I've continuously posted, the signs are now obvious that Hurricane activity will be increasing over the next 30-45 days. 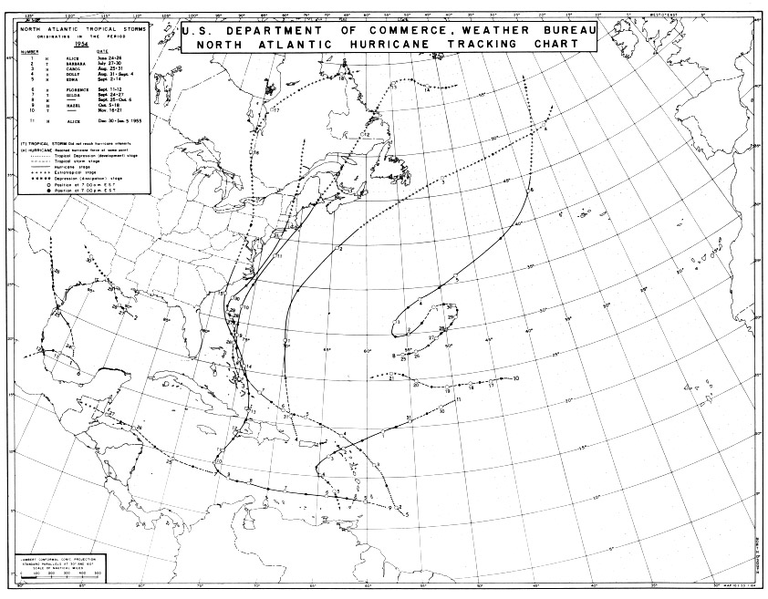 The function of a Hurricane in the earth's natural system to take heat from the tropics and move it to the poles. The Pacific Ocean is the largest basin and provides the majority of this heat transport. When the Pacific, especially the Southwest Pacific (the Typhoon region) "shuts off", another tropical region needs to step up to keep the earth system in relative balance. The Western Pacific is the most active region on the world almost every year (2005, 2010 North Atlantic was) so when it shuts down during the heart of Northern Hemisphere summer, the Atlantic basin ramps up. Latest models for the next month or so are forecasting exactly this. The shorter range models are also forecasting development. There are two main area's to watch at this time. 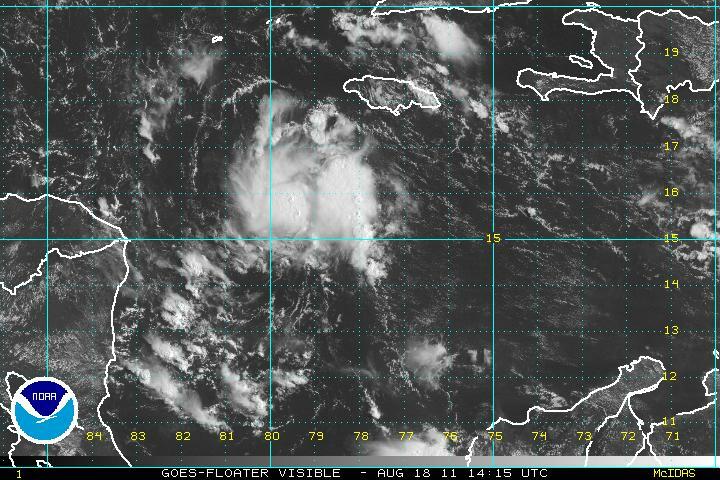 One is an impressive looking, yet disorganized tropical wave moving into the Caribbean Sea. The other is a healthy looking, but in an atmospherically unfavorable environment off the African Coast. The Caribbean wave is going to be moving into an area that seems favorable for development, especially when its south of Hispaniola to the east of Jamaica. Its not getting much love from the computer models but watch for it to move towards the Cancun area. There is much we do not understand about Hurricane forecasting so each tropical wave needs to be watched whether the models develop it or not. 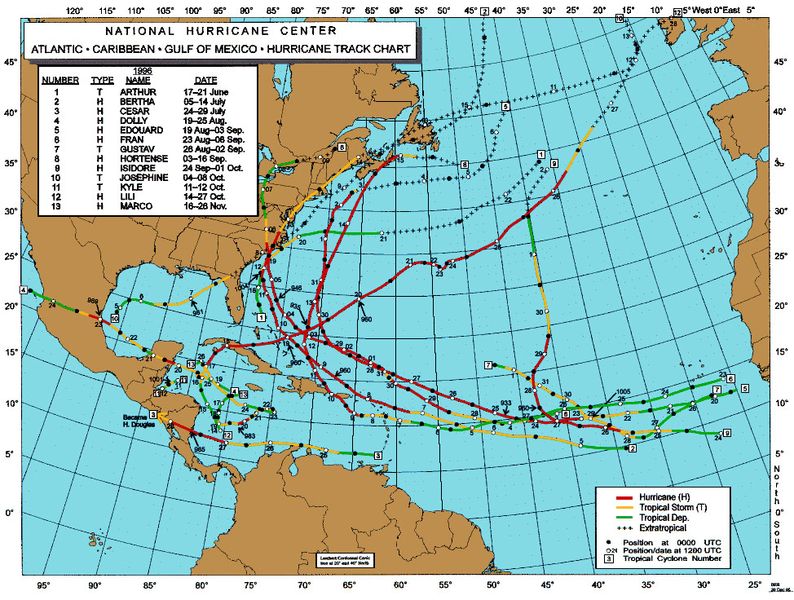 Hurricane models usually develop 5 Hurricanes for every 1 that actually forms. Keeping that in mind, the wave off of Africa has been consistently developed into a tropical system by the computer models. The models have shown the storm hitting everywhere from the Gulf Coast to Atlantic Canada. That is irrelevant at this point because Hurricane forecasting is inaccurate until 3-5 days out; what is relevant is the fact that many models are developing the wave and doing so consistently. Therefore, its something to watch given the overall atmospheric conditions that are forecast to develop. 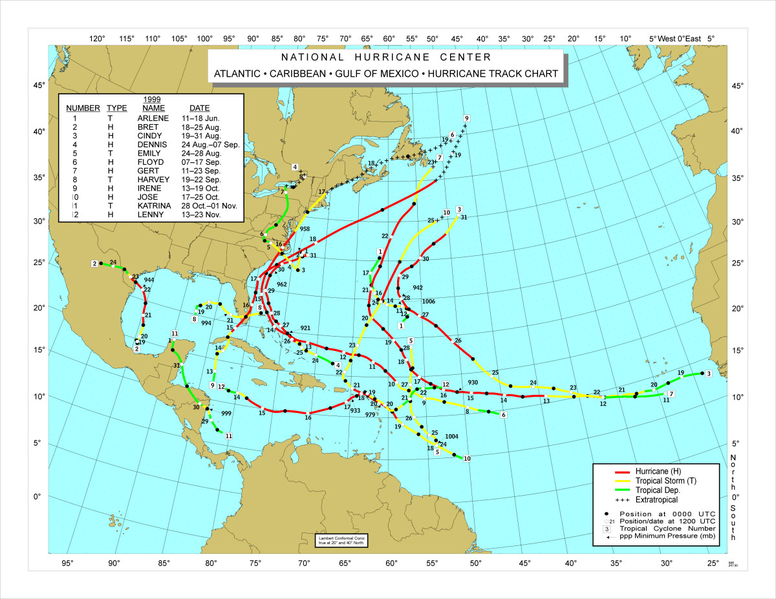 As of now it reminds me of Hurricane Georges of 1998 in terms of track, based off of the United States long range model.